I’m always on the lookout for new and useful apps, with a local twist. Mostly because I love trying them out and seeing the latest technology but in part because I am a frequent guest on Steve Dotto‘s “App Wednesday” radio show on AM650. Dotto invites three guests to bring their best apps to the table and we battle it out for an hour to determine who presented the best one. Recently, I talked about the Swim Guide App and although it didn’t win me the app crown that week, I have found it pretty informative. This app will let you know the water quality of the beaches in your area by colour coding them with pins. You can get a visual reading of what is safe, clean, and good for swimming. A green pin generally means that the water is sampled frequently and that it has not shown any harmful particle levels. You can use it on your desktop computer simply by going to The Swim Guide and it will zoom in to your region on a Google Map. On your phone, you can download the app for Android or iOS devices. Swim Guide began in Toronto after a team of staff and volunteers at Lake Ontario Waterkeeper set out to answer this simple question: Is it safe to swim in Lake Ontario? It should be easy to find clean water and a nice, accessible swimming hole. Unfortunately, reliable facts and figures about beach water quality were hard to come by. So we started compiling our own. 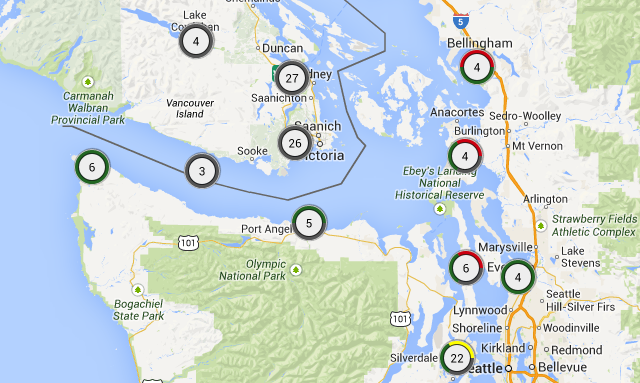 For more than a decade, we have tracked beach water quality trends, adding more beaches to our database every year. 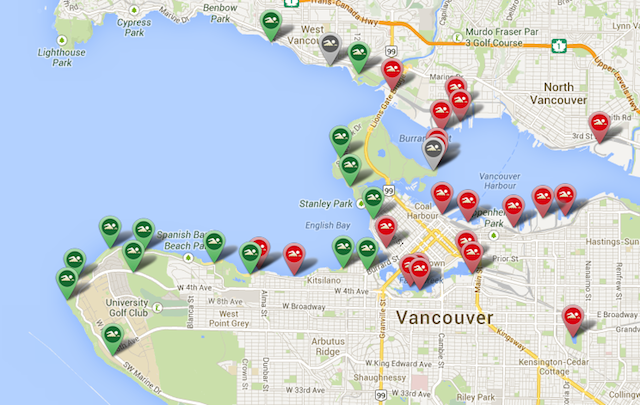 The app is ever-changing as well, with updates, new beaches, pollution reports and more. Updates are provided and published based on information from local city governments, local affiliates, and more. Everyone is invited to contribute. The summer season is winding down but we still have many hot, swimmable days left around here where we have an abundance of salt and freshwater recreation sites. 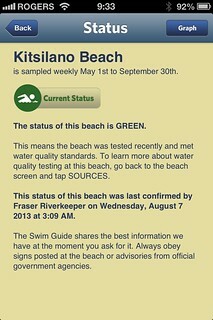 The app is free to download and could help you plan your next beach day if water quality is of concern. Thanks for sharing this information! Although, it will good to see this app in the beginning of summer.